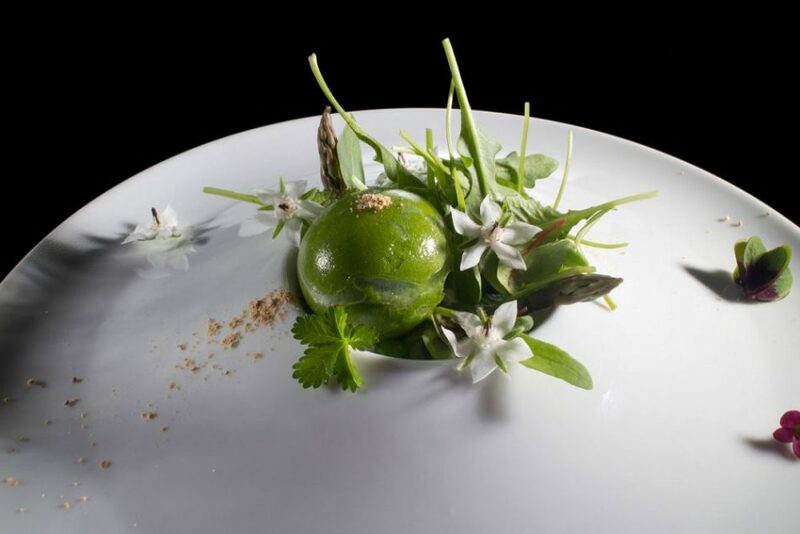 lifestyle /Culinary Discover simple ingredients crafted to the finest, at Piazza Duomo, Alba, Italy Quality and perfection describe Piazza Duomo restaurant. Experience an incredible journey through the Italian cuisine, with the signature of Chef Enrico Crippa. A long history of recipes, and passion of combining flavours with traditions, echoed the Italian cuisine. As, every region expresses the local characteristics through food, Piazza Doumo homages to the beautiful and picturesque Piedmonte. The taste of Winter in the chestnuts and truffles, or of Spring, in the rich vegetables, are the key elements for Crippa’s menu. Adding to it a pinch of creativity and innovation. From the testing menu or the a la carte, diners are spoiled with a variety of dishes. From the rabbit with hazelnut to the pink rice with prawns, it pure adventure. Simple ingredients. 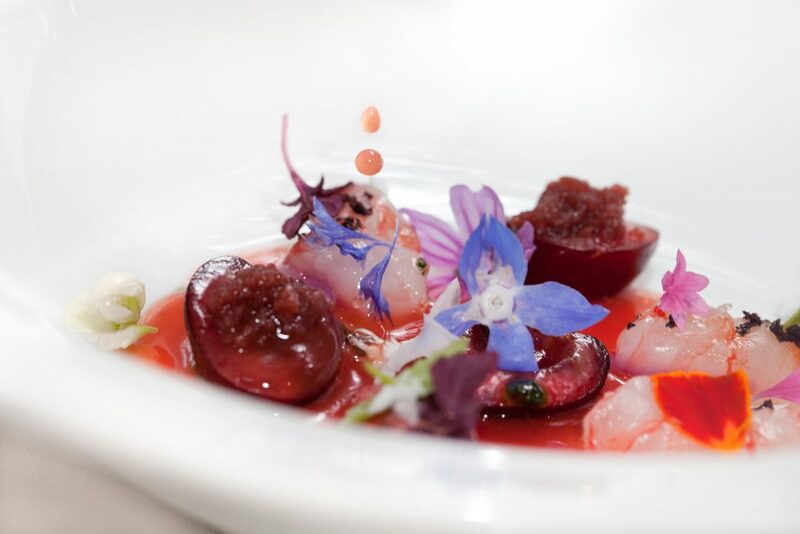 carefully nurtured, by the chef, at the restaurant’s vegetable garden, are then meticulously cooked to let guests experienced Piazza Duomo to the fullest. The vegetable garden, few kilometers from Alba, has around 400. plants. To complete the palate, the cellar, includes a vast choice of wines to fall in love with. Most are produced in the vineyards by Ceretto family, owners of the restaurant, and many more wines from the country. Enrico Crippa has been under the guidance of expert chefs in Japan and in Europe like: Chritian Willer, Gislain Arabian and Italian cuisine pioneer, Gualtiero Marchesi. His experience in Europe and Japan is visible in his creations, together with Crippa’s personal touch. The quality and experience of the Ceretto family in producing wine and local products, is passed through the hands of this talented chef, thus, makes Piazza Duomo a special place to dine; any doubts leave it to the experts. 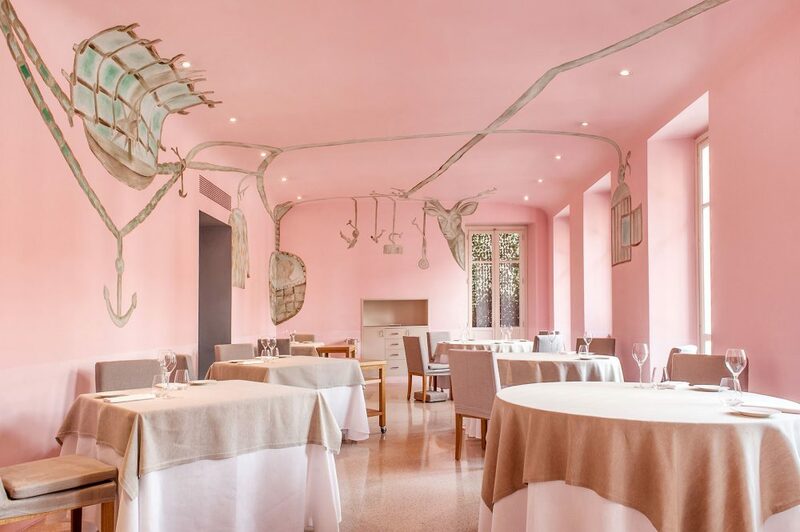 The restaurant, is cozy and elegant, painted with delicate pink and a fresco by artist Francesco Clemente. The drawing, portrays a vine leaf that breaches throughout the walls with symbols of nature of the region’s landscape.